The first question people ask after they have seen the videos and read the hype about how much money forex traders claim to make, is 'how can I learn to trade forex'? The fact that easy money is the incentive for people to start trading explains why only about 2% of traders really make a profit after costs. But no warning that forex trading is not what it seems to be, will discourage people once they are told what they want to hear, so here we go. We don't say you should never pay someone for good mentoring, or to participate in a trading group where a successful trader shares her knowledge and trade with her members. We do say that we live in the technological era where information is as far as Google. By researching forex trading, would-be traders can get far enough to be able to trade in a manner that grows their trading funds. The reason why most traders are not profitable is not because they don't get training, it rather is because they believe the hype about "easy" money and expect to be profitable without much effort or by merely following a system. Before you spend your trading money on training or trading software, do the footwork. Anything worthwhile in life comes only after effort and dedication. 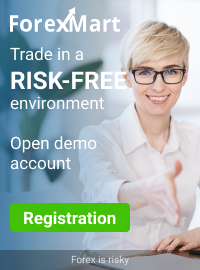 Why would forex trading be any different? Once you have researched forex trading deep enough to form a good idea of what it entails, you will realise that, what is needed for successful fx trading has little to do with other people and all to do with yourself. This website provides enough information and sources to keep you busy for quite a while, and this is only the basics of what you need to know. If you buy the story that rich people have a secret for becoming wealthy and that some rich guy will share that secret with you for a hefty fee (because, hey, something this valuable does not come cheap! ), you will without a doubt lose your money because your basic thinking is flawed. The first thing you should understand about trading success, is what makes the majority of traders unsuccessful. not following the trading system. A successful trading strategy, system or methodology has one important requirement: it should have an edge. An edge exists where the odds are in your favour that someone will enter the market and act in a way that will make your trade succeed. An edge ensures that you have a statistically positive chance of success over a number of trades. Where most traders bite the dust, is that they evaluate their success over one or two trades. The less trades you use to evaluate your success, the higher the chance that you will fail. The more trades you use in your evaluation, the better your chances of success. There are as many strategies as there are traders because every trader adds his own preferences to a trading strategy. We list a number of basic forex strategies on this site. Keep in mind: a successful trading methodology does not mean that it succeeds every single trade. It means that it it has a positive result over a number of trades. Fear and greed are the two factors that motivate people in all they do. A fear such as the fear of missing out (FOMO) can entice a trader to deviate from his trading strategy because he is convinced that he knows what the market is going to do next. Greed may let a trader risk more money than his risk management rules prescribe or his account can tolerate. Greed also occurs where a trader enters too large a position because he needs to catch up on previous losses (it could also be about the fear of account wipe-out created by the losses). Below is an exercise which you can follow to test yourself. It will also make you aware of how difficult it really is to follow a trading plan. If one order triggers, cancel the other order. Do 20 trades regardless of the outcome of any individual trades. Use a checklist and check off every step of the strategy. If you deviate from the strategy by not ticking any one of the requirements or changing any requirement, do not count that trade, whether it is successful or unsuccessful. After 20 trades, calculate your success percentage and pip loss or win. Don't count money, it will increase if you are consistently so successful that you can start increasing your lot sizes. You have now traded forex with less than $100. This is an example and the aim is not to make money, but to teach you to keep to your trading strategy. Most probably you will deviate from it and will have to start again. If you can not keep to the strategy, it means you are not ready to trade seriously. In that case, don't trade, because you will become the amateur which the professionals take money from. Once you can do this successfully, you can try out different strategies. Amateur traders are successful some of the time. Professionals are successful most of the time. You will only make profit if you are professional, and to trade professionally means you have to trade successfully most of the time. Your forex trading strategy with an edge will ensure success, if you can overcome the trader's curse: deviating from your strategy because you think you know what the market is going to do next.